Because of Chase’s love for golf, Deb and Dave Curry decided that a golf tournament would be the right fundraiser to honor Chase and benefit for the Mowat Wilson Foundation. Click to watch Deb’s interview at the local News 3 channel. 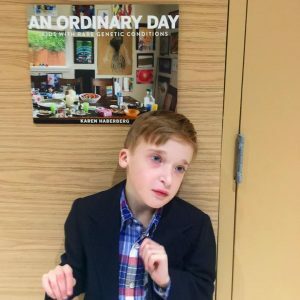 An Ordinary Day is a documentation of the personal lives of courageous kids who have rare genetic conditions and their families who love and support them at all cost. 1 in 10 Americans are living with a rare genetic condition. The conditions that rule the lives of these families are often overlooked by society, but for millions of people it is a matter of foremost priority. This book sheds an important and compassionate light on these existences. 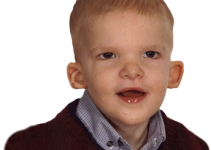 We are honored to have Jonathan, who has Mowat-Wilson Syndrome, featured in the book. The Key of G is now available streaming online! If you know anyone who should see this film please share. 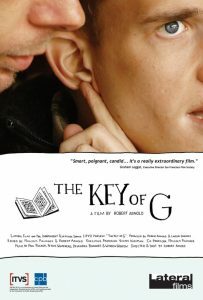 THE KEY OF G is an award-winning feature documentary about disability, caregiving and interdependence. The film follows Gannet, a charismatic 22-year-old with physical and developmental disabilities, as he leaves his mother’s home to share an apartment with a close-knit group of artists and musicians who support him, not only as paid caregivers, but also as friends. Together they create a uniquely successful model of supported living, and a compelling alternative to institutionalized care. 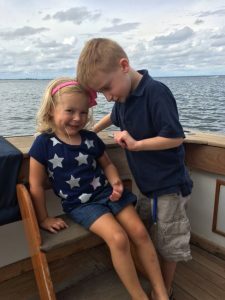 ROCHESTER, N.Y. — The Make A Wish foundation is making waves for a child suffering from a rare genetic disease. Chase Fekete always dreamed of swimming in his very own pool. 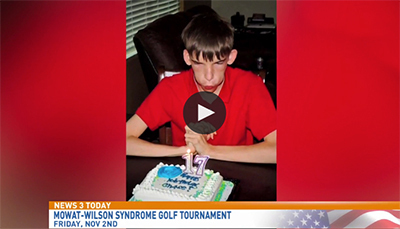 On Saturday his parents, with the help of Marquis Spas and Make A Wish, that became a reality. Sometimes the innocence, simplicity and pureness of life with a loved one who has special needs catches you off guard. I can be busy doing something that involves all three of my kids when that look, a certain gesture or the sound of a soft voice grabs my attention. I can feel it before I see it and when I look up I want to take in and be a part of it, but discretely, in a way not to interrupt it. What I see is Kevin looking at Sarah or Scott with such pure love and adoration. I also see Sarah and Scott reaching out to let Kevin know that they are by his side. From moments like these, I am comforted to know that the bonds are deep and lifelong. When Kevin looks at Sarah and Scott with his inside out smile, a laugh and usually a pretty tight hold, he is letting know them know that they are his people. I watch Sarah links arms with Kevin or tussle his hair. Scott will put a protective hand on Kevin’s shoulder. Kevin knows that he can count on them both. Meet Bella. She is a 12-year-old girl who loves to dance and listen to music. For the second year in a row, Bella danced in the December 11th adapted performance of the New England Ballet Company and the Milford Connecticut Recreation Department’s Nutcracker Suite. Bella and her smiley personality had two parts in the production. She shone as the Dew Drop princess and she was a snowflake in the production’s finale. A dream of many young girls, dancing in the Nutcracker might not have seemed within reach for Bella, a young girl with Mowat-Wilson Syndrome. Bella, like other children with this syndrome, has significant developmental delays that result in cognitive and physical challenges. Without many spoken words, Bella understands much of what is said to her. This means that Bella comprehends more than people realize, so not being able to express her wants and needs can be frustrating.